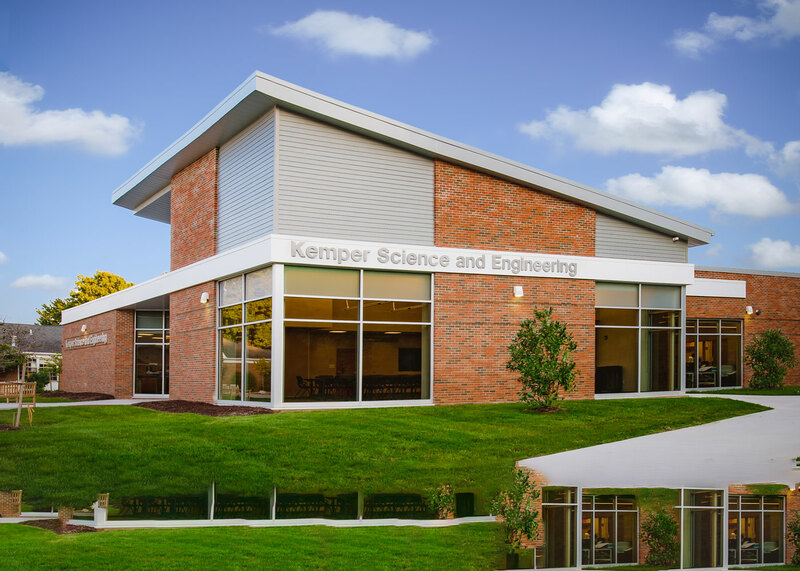 Kemper Science & Engineering Building - STEM | Laboratory Hasenstab Architects - Located in Northeast Ohio, Hasenstab Architects specializes in healthcare, simulation, laboratory, research, higher education, k-12, and office design. 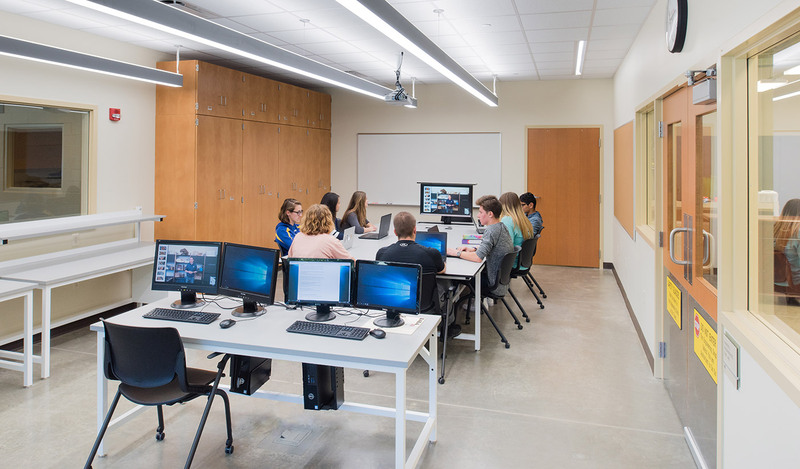 The Kemper Science and Engineering Building at Lake Ridge Academy provides lab, research and classroom space to support the school’s science, technology, engineering and mathematics (STEM) curriculum for K-12 students. 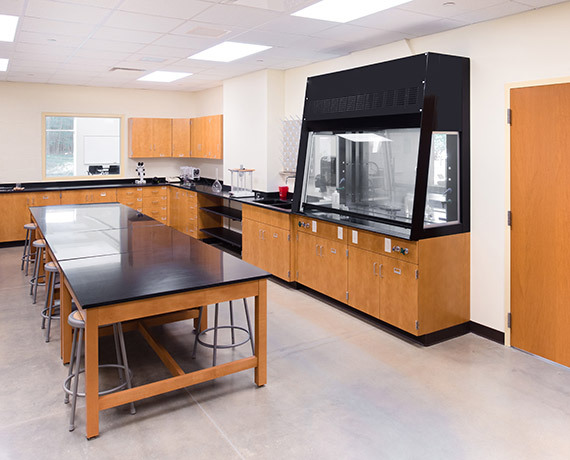 The 9,247 square-foot freestanding building includes a chemistry lab, engineering workshop, research lab, multi-purpose room, offices, prep areas and storage. 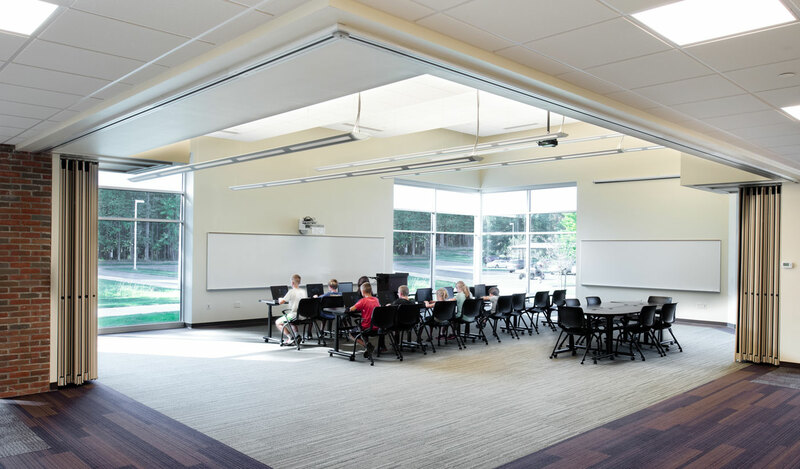 Flexibility was a major focus of the design with movable partitions in the multi-purpose space, dubbed the “Exploratorium,” to accommodate varying types of events and multiple teaching scenarios. 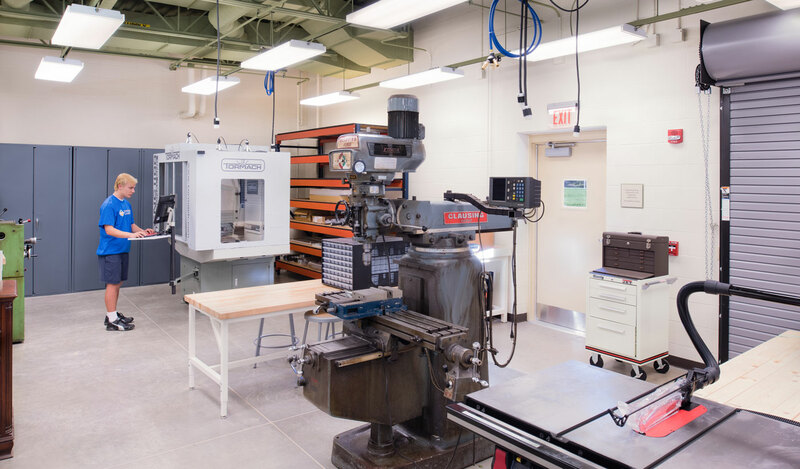 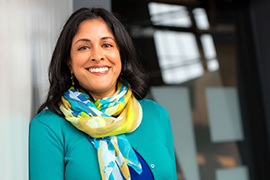 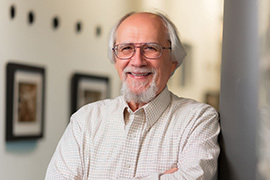 The engineering fabrication lab occupies the largest space in the new building with two separate, but connected areas for students to create and build new projects. 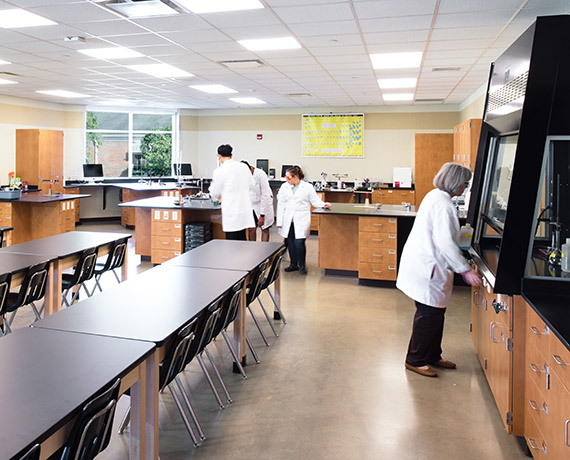 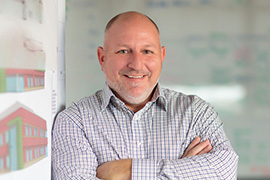 To provide an atmosphere that mimics college-level education facilities, the maker’s lab is equipped with 3-D printers, laser and vinyl cutters, and computer workstations. 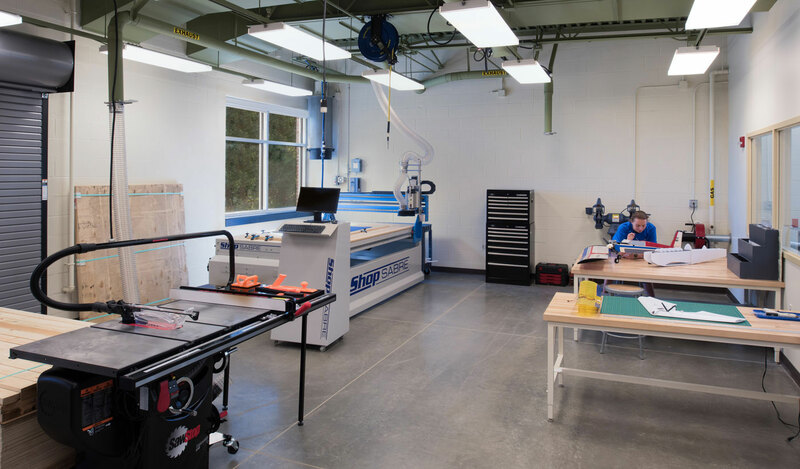 The other engineering space serves as a workshop, equipped with Computer Numerical Control (CNC) router for safe, precise cutting of wood and other materials. 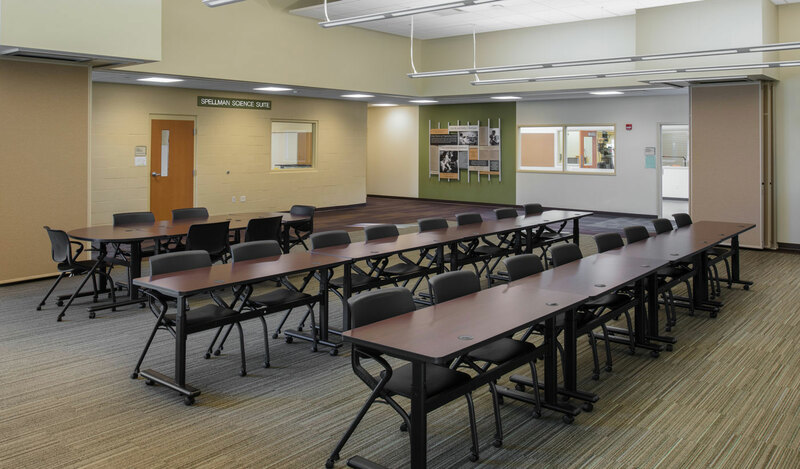 A greenhouse is located on the southeast side of the building to allow for maximum solar gain and easy access from other areas of campus such as the maple tree grove and pond. 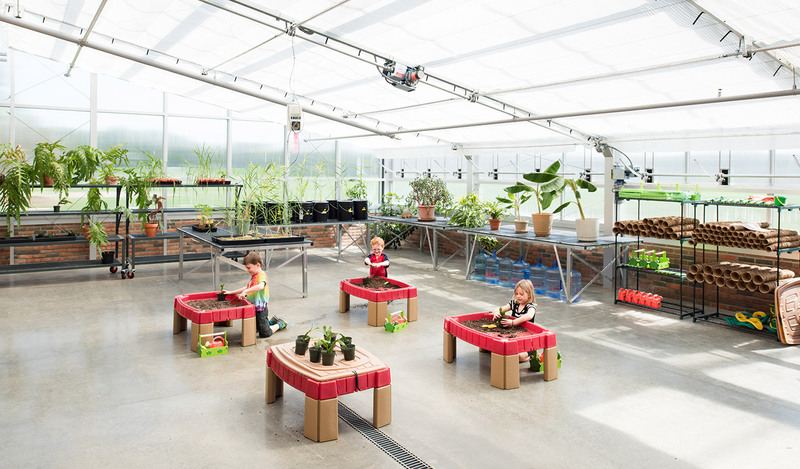 Students are able to use the living classroom to conduct biology and botany experiments.